A specialty clothing store named “Athaya Batik” may make you sit for hours to explore the beautiful hue typical Madura batik. 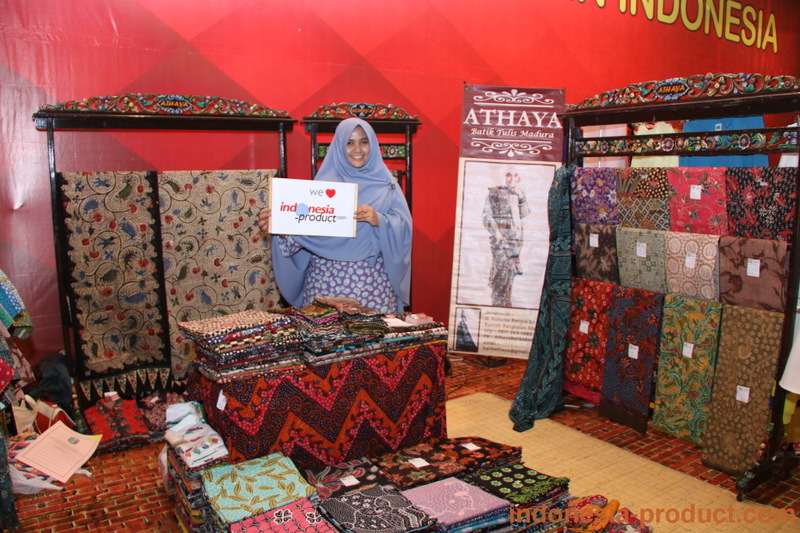 Despite new efforts around two years, Mrs. Vetrylla Prima Zastrina, the owner of “Athaya Batik” can manage it quite successful experience with information expertise, so that they can also do online sales. Displaying the various types of batik motifs, it seems the typical pattern that can only be found in Madura. Motif of birds, flowers, and life that seems to be a fishing village in Madura batik are inspired already since hundreds of years ago to build this amazing skill. In Athaya Batik, you can find unique batik of Madura Pamekasan, Sumenep, Cape Earth (Tanjung Bumi), and Sampang. The uniqueness of the Madura batik motif that also provided by Athaya Batik is “Gentongan” batik. Gentongan batik process can take up to 6 months of storage in the barrel as part of the dyeing process. Gentongan batik colors are taken from nature. One color can be time consuming, 1 to 2 months in the barrel. The longer the manufacturing process also makes the price higher. You can discover the beauty of batik patterns and motifs of “Gentongan” with decisive and bold colors. The specialty of this batik is the color that the longer it will be even brighter. The history of Gentongan batik quite unique. Formerly women in ordinary Madura is making this batik for a baby carrier and its manufacture made since the first day of pregnancy. Gentongan batik is usually completed within 8 to 9 months and adjusted to the pregnancy. In ancient times, this Gentongan batik process spent months or even could reach one year only for one piece of Gentongan batik. Motif of this batik is very complicated and detailed. To get one color only require soaking at least 6 weeks in a special barrel. Price of Gentongan batik are ranged between Rp. 450.000, – with the more common patterns and motifs. While the style is diverse and richer colors are usually sold to millions of rupiah. Athaya Batik also exports handwriting batik cloth and fabric abroad via online shopping, such as the United States, Singapore, Dubai, France, and Venezuela. Those who used to buy batik from Athaya Batik are state officials, local officials, to the Indonesian ambassador abroad. 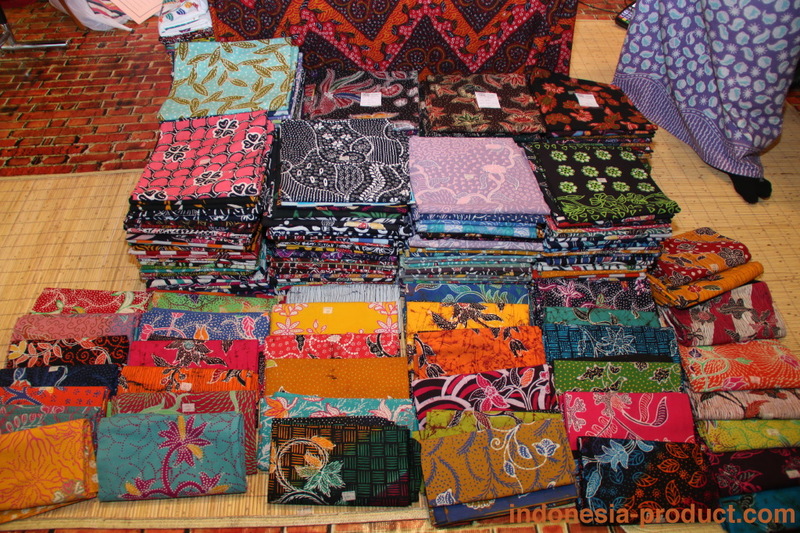 Prices of all batik ranged from Rp 70.000, – up to hundreds of thousands to millions of rupiah. Special orders are often received and it made itself at Athaya Batik. So, what are you waiting for? Let’s visit the showroom of Athaya Batik, or you can contact directly this workshop to order in wholesale quantity.